Arts Award can be achieved at five levels, four qualifications and an introductory award: Discover, Explore, Bronze, Silver and Gold. Arts Award 'Discover' aims to encourage learners to develop a basic understanding of a range of art forms, to commit to taking part in arts activities, and to develop a basic understanding of communication. Learners do this through identifying that a range of art forms make up the arts, taking part in different arts activities, finding out about artists and their work and sharing their arts discoveries with others. They create a personal arts log (portfolio) to record their experiences in a format of their choice. Arts Award 'Discover' provides a foundation to enable learners to be introduced to the arts and is a springboard to other levels of Arts Award. On our 'Family Arts Award Day', Children aged 5+ and young people up to the age of 25, now have the opportunity to gain a 'Discover' Level, Arts Award, supported by Nucleus Arts at our beautiful centre in Chatham, Kent. Arts Award Explore aims to enable learners to develop a basic understanding of a range of art forms, artists and arts organisations, to commit to taking part in arts activities and to demonstrate basic communication skills. 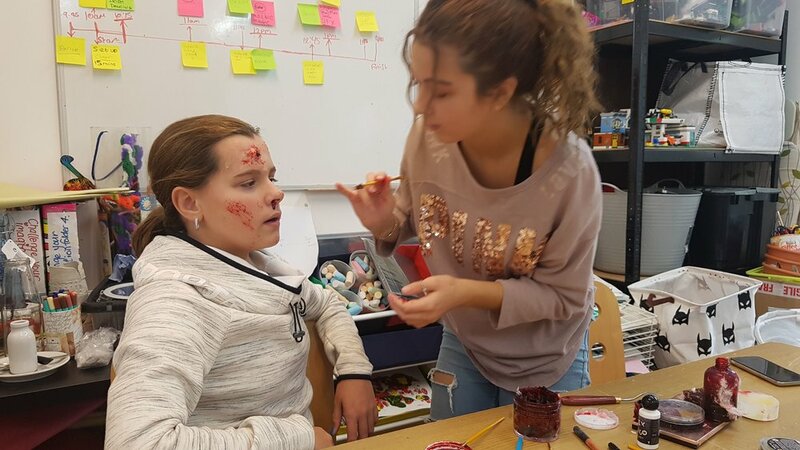 Learners do this by taking part in different arts activities and recording what inspires them, experiencing the work of artists and arts organisations, creating art work and presenting their exploration to others. They create a personal arts log (portfolio) to record their experiences in a format of their choice. Explore is an Entry Level 3 Award and is designed for 7-11yrs (Higher Key Stage 2) but open to anyone up to 25yrs. It takes around 35hrs to complete and is planned over approximately 4 weeks. At least 10 hours of independent study is expected and the award is moderated externally by Arts Award.